Description: The Berkeley County Sheriff’s Office is seeking applicants to fill 8 Deputy slots. 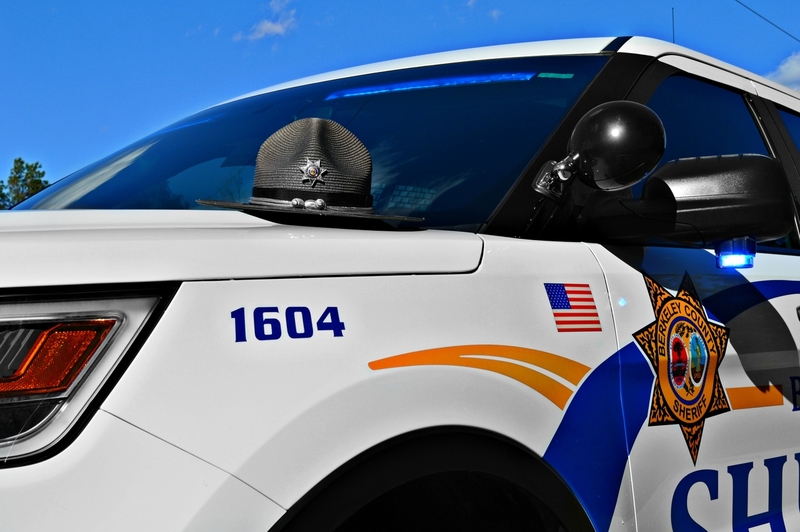 Job Summary: Under close supervision, performs general police work in the protection of life and property through the enforcement of laws and ordinances in accordance with Sheriff’s Office/County policies and state/federal statutes and regulations. Patrol assigned district and provides assistance to the general public. Inspect doors and windows in business districts to ensure that no suspicious conditions exist. Enforce traffic regulations for motor vehicles and pedestrians. Directs and controls traffic flow. Investigates and writes accident and crime reports. Prevent the commission of unlawful acts; apprehends criminals; serves warrants, subpoenas and other writs. Arrest and transport individuals to headquarters to be booked on charges. Accompanies prisoners to court and maintains custody of such prisoners. Testify in court proceedings. May transport prisoners to other facilities, etc. Physically controls violent suspects/offenders. Engage in foot and/or vehicle pursuit to apprehend suspects. Administer first-aid in emergency situations. Maintains required level of proficiency in the use of firearms and ensures that weapons are in a functional and presentable condition. Perform other duties as assigned.